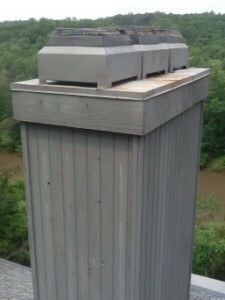 The Mad Hatter proudly handles custom made chimney caps manufactured by master metal fabricators out of heavy-gauged galvanized steel or pure copper. Each cap is custom made for each chimney and is the result of over 20 years’ experience. With many thousands in use here in the Atlanta area, we’ve accumulated feedback from mason, builders, chimney sweeps and homeowners that has resulted in a product that satisfies many needs. Flat black is standard, but any good quality color paint can be used. A ½-inch heavy gauged galvanized steel screen is securely riveted to each side to keep birds and animal intruders out. Wildlife in the smoke chamber area can cause noise, odor problems and can pose health hazards for your family. 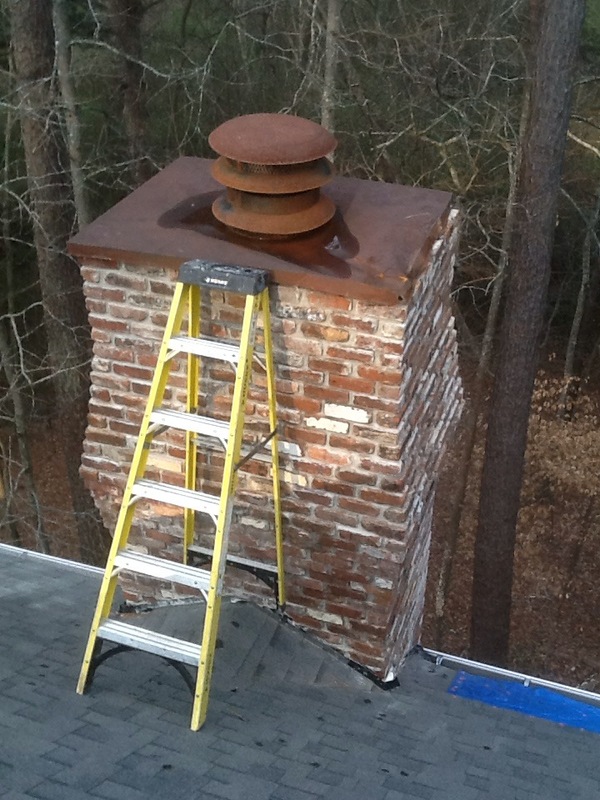 Moisture is a big enemy of any chimney. 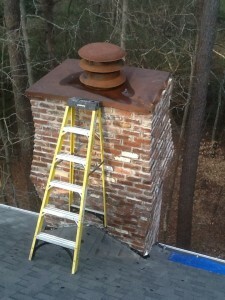 Moisture will crack and crumble an unprotected chimney top turning mortar into sand and hollowing out bricks. Rain falling freely into open flue tiles will go down to the smoke shelf area causing odor in wet weather and often rusting out the damper. 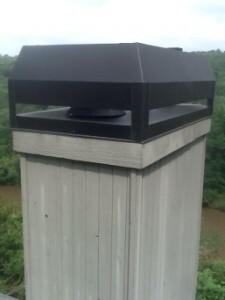 To keep the crown and flue dry, our custom made caps are designed to have a minimum of a 4-inch overhang on all sides. Our rain drip lip construction takes extra time to produce but provides superior strength for its weight. 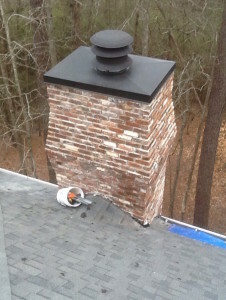 The cap is secured to the chimney with steel wire that runs from the cap down to masonry nails in the solid body of the chimney. This allows the cap to be removed and then secured at any time for cleanings and inspection. Our caps add value to your home while protecting your home and family. Doesn’t a custom chimney cap from our chimney company make sense to you? 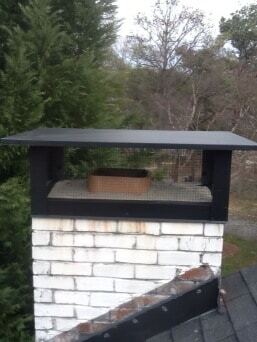 Protect and beautify your chimney with a custom chimney cap from The Mad Hatter. Rain pan & standard shroud before.